‘American Psycho’ author Bret Easton Ellis says the media showed “amazing bias” in its reporting on and polling of the presidential election, and contends that if the story of Donald Trump’s ascendancy had been written as a novel, editors would say it was too unrealistic and outlandish to believe. Larry King: What did you make of the election? Bret Easton Ellis: Well, it’s over. You know. Bret Easton Ellis: It depends on where you stood. I don’t know. I mean, I realize that I didn’t live in a bubble. I didn’t live in a bubble. I didn’t think it was a sure shot that either he or she was going to win. I mean, I didn’t live in a world where I was completely surrounded by the same voter. I am 52, I know a lot of people, I have a lot of friends, and a lot friends who were for Clinton and a lot of friends who were for Trump. And I live with someone who is for Bernie Sanders. So I had all these voices that I was talking to coming up to the election and you know, anyone voting for Clinton was not some kind of neo-liberal, elite snob who was only interested in identity politics. And the Trump voters I know were not some kind of alt-right, redneck supremacists. And both sides had a lot of compromises they had to make over their candidates in who they would vote for. A lot of compromise. Larry King: Did Trump make compromises? Bret Easton Ellis: They had to say ‘but.’ But I also knew that with Hillary too. My boyfriend, my partner of seven years, after being kind of defeated by the Bernie Sanders thing held his nose when he voted for Hillary Clinton. It was not something he really wanted to do. So in that sense while I was watching it I thought it was – I thought the narrative of the media was what really interested me, and how did that happen? How do we get to a point where on election night I was on “The New York Times” website and it said ‘Hillary Rodham Clinton has a 98% chance of winning, Donald J. Trump has a 1.4 chance.’ And I said, ‘okay, well I guess if they’re telling me this…’ That’s the problem with the media in this whole election cycle. And it was amazing bias, amazing mischaracterizations, things on both sides. Larry King: Still going on. 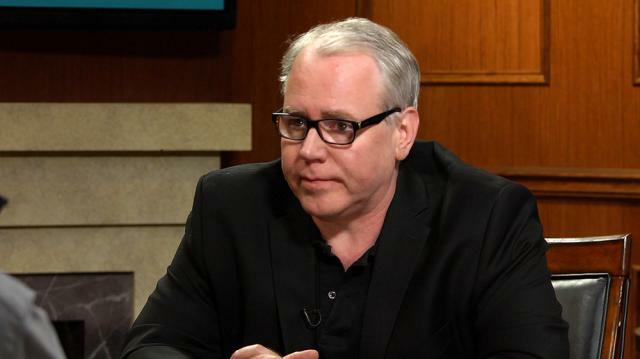 Bret Easton Ellis: It is still going on, but I mean how far can it limp to a conclusion? Larry King: Would this be a good or a bad novel? Bret Easton Ellis: Well, it would be – your editor would say, ‘this is completely unrealistic, this would never happen, and no one would want to read or buy this because it’s so outlandish, and so full of shocking reversals, and surprises that are completely unrealistic.’ So I think that’s what an editor would say.